Theory Works provides the student with an interactive way to improve their music theory skills using any of their devices. 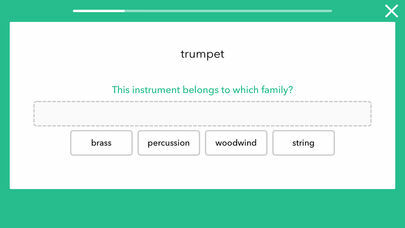 The app gives students the opportunity to practise music theory skills, and understand how to improve their understanding with instant feedback, recognition of accurate and incorrect answers, and support to redo exercises in order to get them correct. 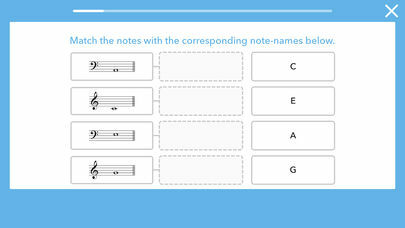 It offers some basic explanations to get started, and on completing the exercises for the chosen grade, you can then move onto the next stage within the grade to focus on the next topic, and improve a different area of the student’s music theory knowledge. 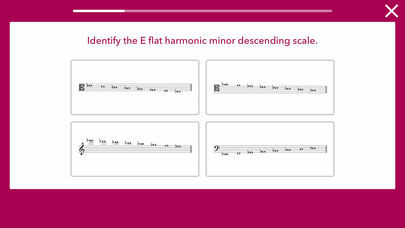 The accuracy within this is excellent, and it certainly marries excellently with the ABRSM courses and grades itself. Even if the student wasn’t following an ABRSM grade, it’s an excellent order of understanding and helps to build the student’s confidence in their learning and develop at a steady pace. I like the simple instructions before moving onto exercises, the instant feedback, and quick move onto the next stage. The app shows a wide versatility of target audience, starting off from the absolute novice, to the more advanced musician. 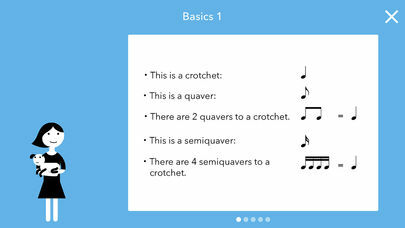 It is also suitable to a wide range of ages, although it demonstrates a more mature and ‘adult’ design, it is suitable for any student that is developing their theoretical understanding whilst reading music, and could certainly be used by children 12 and above with some support from a teacher. The mature lay-out and clarity is also far more attractive to an adult than the colour and excitement that would be required for a younger generation. 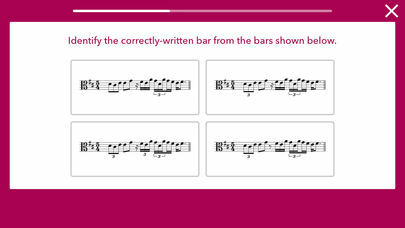 The skill, knowledge and depth of the app is outstanding, and wholly suitable for a budding musician. 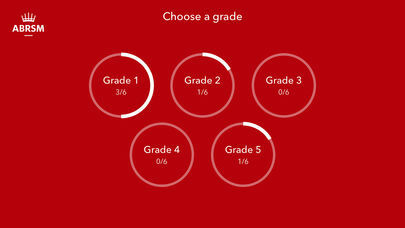 It is also excellent that you are able to move onto more advanced grades and courses without having to pay for in-app purchases. This is quite attractive to a student or a teacher, and helps to build their confidence with attempting to look at more difficult courses and prepare them for this. This progress is saved within the app so that you know what session you have got to. The course takes you through a lot of understanding of the basics of theory before entering more difficult areas. 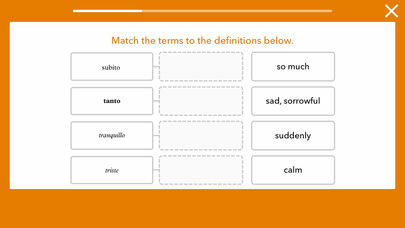 Each section provides you with one ‘lesson’, followed by 3 exercises. These are all quite engaging, as you either click on the answer, click and drag, or have true and false questions. Having this range of questioning helps to stimulate the brain so that it doesn’t get bored with the repetition of questioning style. However, I would suggest that it may be useful for some students, especially those without a theory teacher, to be able to watch a video or link in order to listen to a teacher explaining the knowledge, or perhaps if they have got the answer wrong, to provide a hint or a ‘cheat sheet’ to help them get the correct answer, if they would like it, perhaps with a ‘want a hint?’ button, which would help them to build their understanding. With only one very simple explanation, this might not be enough for some students to understand the depth of the theory. 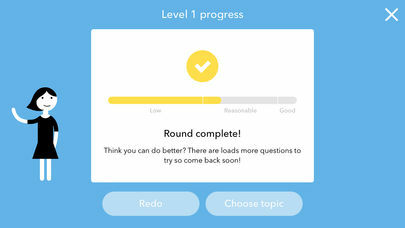 Although I like the very simple design, I would also suggest that at the beginning of the app, there is a menu button to be able to read a ‘how to’, a ‘contact us’ area, and even a link to a ‘book your theory exam’ or ‘how to get more help with your theory’ so that students don’t feel limited by the app. From a teacher’s perspective, it would be really nice if I could see all of my student’s progress. 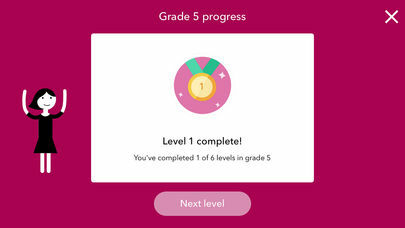 Therefore, if there was a way in which I could log in and view all of my students progress on here, I could set them homework each week to progress through the app, and I could also see how they have got on and whether they have done the work! This would help me to identify key patterns of problem areas, or misconceptions that I can resolve much more effectively in my next lesson. I really like this app, and it’s exactly what I’ve been after for a long time with my theory students. 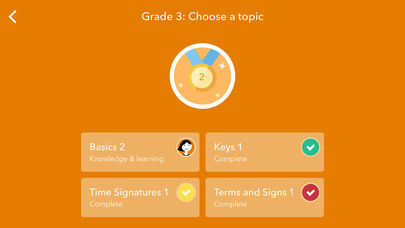 With a few tweaks, this could be the perfect app for me, and lots of other students and teachers! This could easily be a 5 star app with a couple of little changes.